Luxury 5 bed, 3 bathroom villa in a peaceful location of Grand Reserve a gated secure complex in Davenport. 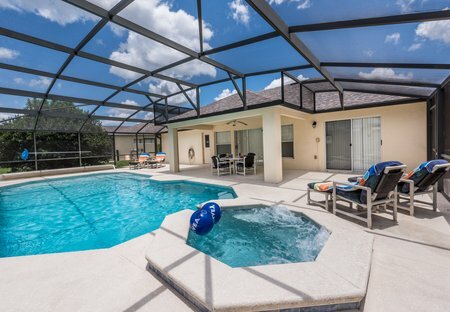 South facing private pool set in 1/3 acre plot and close to Disney parks. Luxury five bedroom villa in a peaceful location in the Grand Reserve gated estate South facing private pool set within 1/3 acre plot and close to Disney parks. Spacious and luxurious property in a peaceful and tranquil setting on a secure gated community of Sunset Lakes in Kissimmee. Private pool with deck and jacuzzi. Minutes from Disney and attractions. Luxurious 4 bedroom, 3 bathroom villa with private pool and spa located on a beautiful, peaceful gated community within 15 minutes drive of Disney World. A lovely home on the prestigious Highlands reserve golf community with private heated pool, games room and internet access. Great location near bars,restaurants and supermarket. Wonderful, quiet and spacious three bedroom villa in Vizcay, Davenport with a sunny private pool. Close to Disney, Kissimmee and Interstate 4 for the Gulf Coast. Our Villa is furnished to a very high standard and is situated on the sunny Cape Haze Peninsula, close to white sandy beaches. It is ideal for two families and sleeps 8 comfortably. Luxurious and spacious family home in Buenaventura lakes, Orlando. Peaceful lakeside location with huge pool. 15 minutes to Orlando airport and within easy reach of Disney parks. 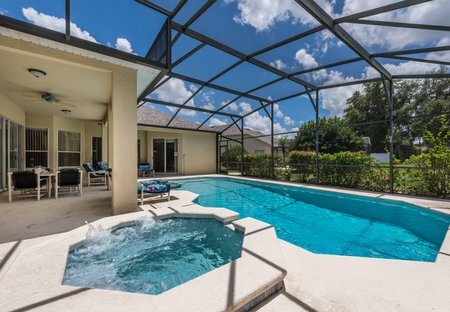 Beautiful, luxurious and large spacious four bedroom villa with private oversized south facing pool with solar heating and spa in Westridge, Orlando. Close to all attractions and golf courses. Our luxury 3 bedroom, 2 bathroom villa sleeps 8 and has its own 12ft x 24ft swimming pool. It is situated on the prestigious Esprit development just 10 minutes away from Walt Disney World. Large and spacious three bedroom villa in Kissimmee. Fully equipped. Minutes from all Disney attractions, restaurants, bars and shops. High speed internet in property. Spacious, executive villa in the exclusive Windwood Bay division in Davenport. Large and airy rooms with a private pool. 15 mins drive to Disney, 20 mins to Sea world and 30 minutes to Universal. Wonderful luxury four bedroom villa on exclusive Seasons development in Kissimmee. Private heated pool, spa and games room. 10 minutes drive to Disney and attractions. Tranquil and peaceful three bedroom villa situated in Southern Dunes Golf and Country Club in Davenport with a private pool. Twenty minutes drive from Disney and Universal studios. Spacious and luxurious villa overlooking a lake and conservation area in Lindfields, Kissimmee. Fully screened private pool. Close to Disney attractions, restaurants and shops. VILLA BETTY BOO is a luxury four bedroom villa situated on the prestigious Hampton Lakes resort, with free use of all amenities. Private screened pool and games room. Fifteen minutes from Disney. A beautiful home away from home situated in Kissimmee, Florida, 30 mins from Airport, less than 10 minutes drive from magical Disney World and all major attractions, restaurants & endless shopping.